What are auras? How do we see them and what do they mean? Find out the mysteries of the aura energies and how they connect with the soul ~ a philosophical understanding of the anatomy of the soul and auras. 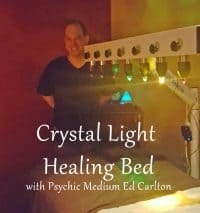 The Crystal Light Healing Bed uses spiritually charged chakra balancing quartz crystals to revitalize your mind and body. Just like blood circulates through the veins, energy is a circulatory system that requires proper energy balance within the body. This flow of healing energy stimulates the body’s own ability to self-heal, allowing the body to begin healing on the physical, mental, emotional and spiritual levels. Over time, this healing process can restore the body’s proper energy balance which has been damaged by time and daily life. Many people notice great improvements in their well-being in just one session! Ed Carlton, Psychic Medium and Intuitive, will facilitate your 50 minute session. First Sunday and Second Tuesday (May 5th and 14th) from 11am – 5pm Cost: $100 Please call 704.662.0946 to make your appointment. JOIN Akemi Dooley, RTT, C.Hyp., as she explains the phenomenal power of your subconscious mind and how Rapid Transformational Therapy is effectively rerouting people’s lives in incredible ways! Success, love and happiness is absolutely available to you! UNDERSTAND how you’re able to go straight to the root of your issue and remove it for good, usually in 1—3 sessions. EXPERIENCE the “Design Your Life” meditation and “Healing your Inner Child” hypnosis—and get a glimpse of what your own powerful and life transforming RTT session will be like. Be empowered, be liberated, starting right now! Saturday May 11th from 1:00—3:00pm Cost: $25/person Please call 704.662.0946 to register. Each night when you go to sleep, you have the opportunity to attend classes of “Higher” learning at Dream State University. These nighttime classes can help you learn who you are, why you are here and in what direction you need to go. The goal is to learn the language these classes are given in, which is a Soul-based alphabet called symbology. Sunday, May 19th from 12:30 – 4pm Cost: $45 Please call 704.662.0946 to reserve your space. Rebecca Nagy is the Founder of Golden Quest Mystery School and has studied and worked with dreams for ovr 40 years. She is the past president of the Southwest chapter of the IASD (Association for the Study of Dreams International) and has studied with such noteworthy dream experts as Dr. Stanley Krippner, Dr. Henry Reed of the A.R.E., and The Monroe Institute. 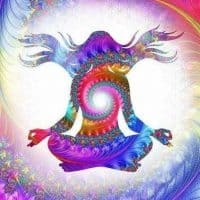 Would you like to connect with your inner healer? Each month Ed will present new ways to clear, release, grow and energetically heal through your inner Divine. Every Third Wednesday (May 15th) at 6:05pm Cost: $10 Please call 704.662.0946 to reserve your space. Have you always wanted to develop your psychic abilities, but didn’t know where to turn? 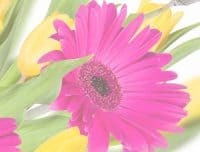 Now you can turn to Linda Williams, psychic intuitive, who will nurture the gifts that everyone has – yes, everyone! Whether you’re a true novice or somewhat experienced, this on-going class is sure to assist in your journey of personal growth and psychic development. Mark your calendar for Sunday, May 5th when the Sisters themselves become the presenters ~ 10 to 15 minute segments on palmistry, reiki, face reading, health and nutrition! It’s going to be another great day at Ahlara! First Sunday of Each Month (May 5th) from 1:30 – 3:30pm Cost: $10 (donated to Himalayan Hands to help young girls in Nepal receive an education) Call 704.662.0946 to reserve.